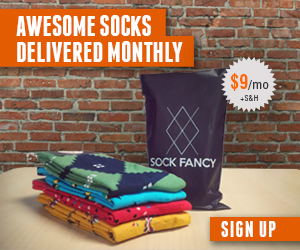 The Sox Box is an online stock store with a plethora of fun socks available for men & women. Although their socks are colorful, they have a selection of gym socks & running socks as well. In addition to socks, The Sox Box offers great tank tops for both men and women. The best part of The Sox Box is their contribution to charity. 20% off all proceeds go to support The Independence Fund and other social causes. Check out The Sox Box today! EuroSock provides an online store for athletic socks, outdoor socks, ski socks, and board socks. They have a great collection of classic as well as fun designs for their socks. If you love high quality socks for your athletic adventures in ski and board, check out EuroSock!